2012. 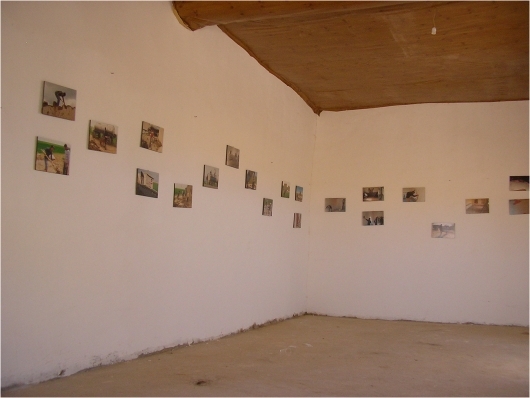 Here is one of the most valuable exhibitions when it comes to its value and meaning: a small room near the Urkesh site, with simple photos, chosen by the locals and exclusively for them. A dirt floor, whitewashed walls, small photos. What else to demonstrate the pride of their past? 2015. 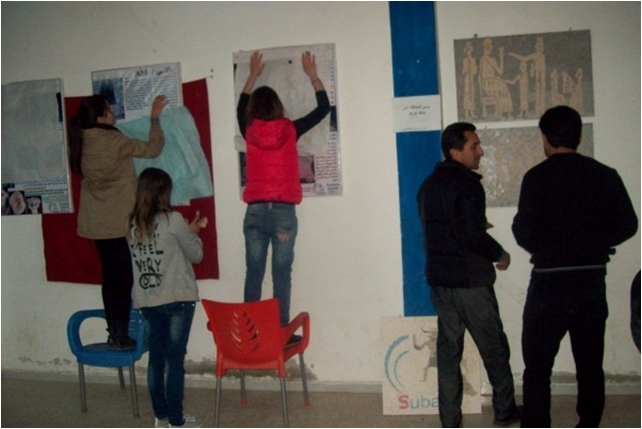 Encouraged by the Rimini exhibition, Dr. Elias of Qamishli brought a reduced version of the exhibition, in Kurdish and Arabic, to a city near Urkesh (Qamishli) and various other small cities: here we are in the "Center for the Renewal of Civil Society/i>" of Amuda. 2016. Before the war, Dr. Suleiman Elias directed an excavation at Tell Sh'eir, an important site East of Qamishli. 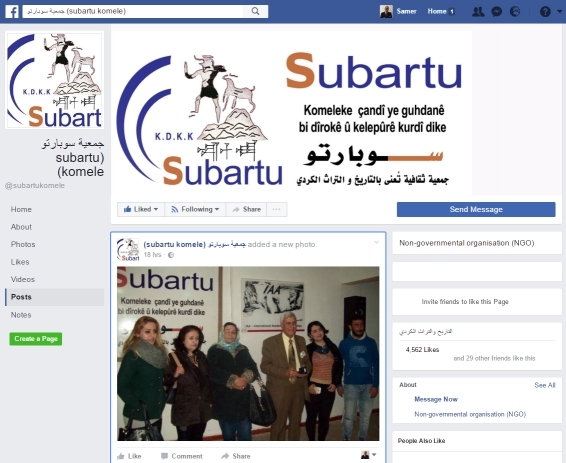 With the support of AVASA, in 2016 he organized in Qamishli an exhibition on this site: we see here the announcement of the event on the Facebook page of Subartu, the cultural association of the Qamishli region. Based on the one that had been previously set up in Beirut in November 2017, this exhibition brings Urkesh to Urkesh – which is a bit like bringing owls to Athens ... The exhibition highlights the spirit of pride in the past that everyone shares in Urkesh, a past that these communities have internalized even more during these dark seven years of war. Organized by fellow archeologists from Qamishli, and translated into Arabic and Kurdish, the event will also include a series of guided tours for our friends from the many villages in the Urkesh hinterland. We illustrate in a separate page some details of the exhibition.